The most important aspect of a successful business is the ability to provide a customer experience that exceeds expectations. According to a GrooveHQ Blog Post on customer experience, 86% of customers are willing to pay more for better customer experience. These same customers have a 60%- 70% probability of recommending new customers to your business if they have a great customer experience. As a customer-centric organization, how do you know what makes the best experience for your customers? How do you know what works? What key performance indicators (KPIs) do you track, and how do you respond to those data points? Artificial Intelligence (AI) and Robotics provide answers to these questions. 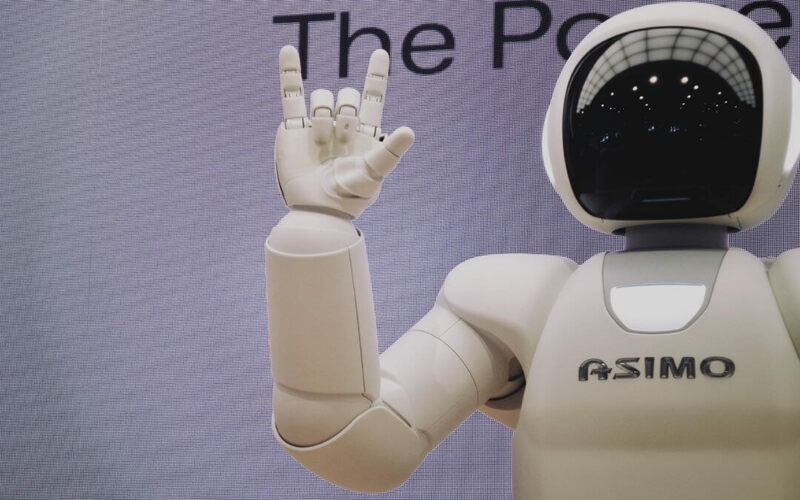 To determine what we’re talking about when it comes to robotics and Artificial Intelligence, we must first understand what these mean and how they differ. When talking about robots, the first thing that comes to mind is visions of an auto assembly plant where robotic arms move parts and affix them to vehicle chassis while other robotic arms fuse these parts using various tools. Some may have visions of the movie Terminator, where robots take over the world. There is a significant amount of negative connotations to the word Robot, and similarly, the use of the term Artificial Intelligence, which is how those Terminator robots knew what to do to take over the world. However, the reality is that these, “machines” are much more stupid than we give them credit. It’s the work of programmers and engineers that make them “intelligent,” or so it seems. First and foremost a robot is merely a controlled device that can perform a series of tasks based on instructions pre-programmed within its memory. Robots do not think for themselves and are given instructions to work without the use of human interaction, which is its state by default. They can be used to replace humans in performing mundane tasks that require little thought and decision making. For example, we’ve all seen movies where a bomb squad is called in to dispose of an explosive device. They send out their robot to distinguish the explosive. The operator provides the robot with the instructions on how to grab, move, and distinguish the device. Using this methodology maintains the safety of the bomb squad as well as others around what they call the blast radius. It solves the fundamental problem of having an agent attempt to dispose of a bomb and possibly being harmed by the explosion. It’s an unusual case of using a robot, but it simulates the effort to solve a problem in any organization. For instance, a colleague of mine works for one of the largest government contractors in the United States, and his department handles logistics for the military. Shipping military units across allied countries require a lot of paperwork and planning that is needed. These tasks are done by human capital filling in documents and forms to provide for shipping manifests and customs declarations. A mistake on any one of these forms can lead to a compromise in national security. Therefore, his organization uses software robots. These robots have specific instructions as to exactly how all logistics documents are filled out and completed to meet all of the required regulations. With every successful delivery, their customer, the United States Department of Defense, continues to award them their next contract. These robots provide that higher level customer experience that keeps them coming back to the same logistics contractor. Companies such as UPS, FedEx, etc. can utilize these same methodologies to maintain a higher level of customer satisfaction from their private and public sector customers as well. Robots, tasked to perform simple to complex mundane tasks can increase the efficiency of your business, minimize human error and improve the level of customer experience that will keep your customers returning. You may ask, so where is the Artificial Intelligence in all of this? The answer is that Artificial Intelligence is its own thing and can be used in conjunction with Robotics. Artificial Intelligence is the use of algorithms that allow devices, machines, etc. to learn and adapt using captured data. It will enable devices to think for themselves rather than rely on a set of operating instructions like robots do. In some instances, robots are built with an artificial intelligence engine inside to allow robots to interact like humans. As humans, we use our senses to take input that gets processed through our neural networks in the brain. We handle these learned senses and respond to them over time. As we take in new information, we learn new ways to respond to the data, and therefore we do so in kind. For instance, touching a hot stove is a learned behavior to sense the heat and then realize, maybe that wasn’t a good idea. This example of taking input and responding is all part of our brain helping us understand and make those decisions. That is precisely how artificial intelligence works. Over time, the AI system is fed inputs and trained on how to understand and respond to those inputs. For example, at MIT, the team that works in Artificial Intelligence feeds a computer a series of photographs with the information that the picture is that of a man, a woman, a child, etc. Over time, the computer understands the size, shape, contour, etc. of what it is to be a man or woman or child. When the computer gets an image with no instruction, it has learned throughout the training on what the image may or may not be, and it decides on which is the appropriate answer. It has recognized data points that conclude that a picture is that of a male or female or child. That is how artificial intelligence works. Some examples of popular artificial intelligence software are facial recognition, voice recognition, transcription software, etc. For instance, Siri and Alexa are prime examples of AI. Both engines receive queries using voice recognition and provide answers to those queries meanwhile learning the speech patterns and inflections, as well as the scope of the queries to determine different iterations of the same questions. For instance, if you ask, “How is the weather today,” it is the same question to say, “What’s the temperature outside.” Humans can decipher the two questions as just asking for the weather, and in-kind AI will interpret it the same. It just needs to learn it first. Now, imagine you are using AI in your business. You can teach your systems to respond to customer behaviors on your application, website or any technology used by your customers. The data can be compiled through a neural network to determine the appropriate responses. As soon as you know, your customers log into your application or website and their exact areas of interest and product interests are provided. They don’t have to look for items, they just appear. It’s the type of customer experience that you find in companies such as Netflix, Amazon and many others. These experiences provide the value that drives the success of the business and helps it scale without significant investments into marketing, advertising or other external motivators. To your customers, you care about them and what they want. You have a basic understanding of robots and Artificial Intelligence, but the main question you may be asking is, “How do I get into implementing these into my business?” Chances are, you may have already started implementing versions of these into your business, you may not know or realize you have. For instance, if you bought software that automates specific tasks of your business, you have essentially started the path of using some level of robotics. If you are performing regression analysis on spreadsheets to determine the future growth or future inventory, you are on the tip of Artificial Intelligence. The critical difference is that there are human interactions still happening in the middle. The key is to utilize tools out there to remove some of these human elements, which will optimize the use of your resources and improve the overall customer experience through speed, accuracy, and efficiency. At Grata software, we use a software robot to perform our data backups for our customers. The robot ensures that all of our customers’ systems are backed-up accordingly through a series of instructions we provide in the software. As an Amazon Web Services (AWS) consulting partner, we work with our customers in utilizing the AI tools provided through various Amazon services to simulate call centers, transcribe audio and video to text, recognize speech, etc. all through a series of AWS tools. We also do this for customers on the Azure cloud platform which also has machine learning engines that provide predictive analytics and other vital tools to improve not only business performance but customer experiences. The truth is that these systems and tools are right at your fingertips and the barrier to entry is so low that any business, start-up to mid-size, can take advantage of the resources that can help you reach the level of customer experience that you so desire. In today’s business climate, it is difficult to compete with organizations that have a vast amount of resources at their disposal. However, the ability to use robots and AI, especially with the low entry point, can provide you the competitive advantage to ensure excellent customer experiences leading to more customers, referrals and scale your business exponentially.